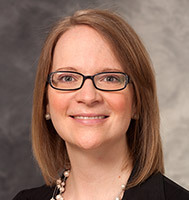 Dr. Hancock is neuropsychologist at the University of Wisconsin School of Medicine and Public Health. Her medical interests include multiple sclerosis and other demyelinating diseases, autoimmune diseases, dementia and mild cognitive impairment. Other interests include educating advanced medical and psychology students in neuropsychological assessment.